The tours are Saturdays at 2:15 pm for up to 14 people. 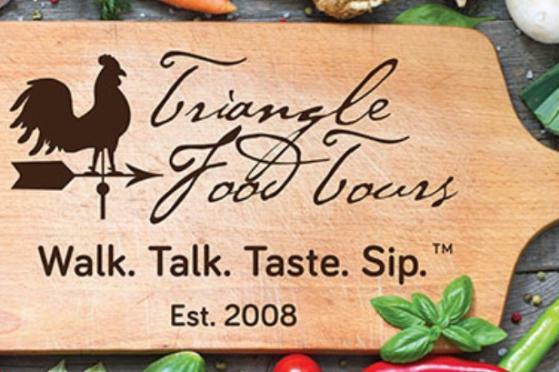 Cost $45 per person (+ svc chg), includes all tastings at 5-6 restaurants/ establishments. The tour runs rain or shine and last for approximately three hours. Walk through the downtown streets of Chapel Hill & Carrboro pausing for sample tastings and personal insights from a cross-section of this area’s finest and most unique establishments. Along the way, the streetscapes and local character will combine to reveal how unique and different each are despite their close proximity. Meet 10-15 minutes before departure at The Franklin Hotel lobby, 311 W. Franklin Street. Reserve on-line in advance. Walk, Talk, Taste, and Sip with us.